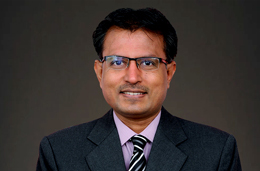 Mr. Nilesh Shah is the Managing Director (MD) of Kotak Mahindra Asset Management Co Ltd. He has over 25 years of experience in capital markets and market related investments, having managed funds across equity, fixed income securities and real estate for local and global investors. In his previous assignments, Nilesh has held leadership roles with Axis Capital, ICICI Prudential Asset Management, Franklin Templeton, and ICICI securities. Nilesh is the recipient of the inaugural Business Standard Fund Manager of the year award - Debt in 2004. He was part of the team that received the best fund house of the year award at Franklin Templeton as well as at ICICI Prudential. Nilesh is a gold medallist-chartered accountant and a merit ranking cost accountant. His hobbies include reading and educating investors on financial planning. He has co-authored book on Financial Planning called A Direct Take.